If you want to find the right apartment to rent you have to search smart and move fast. 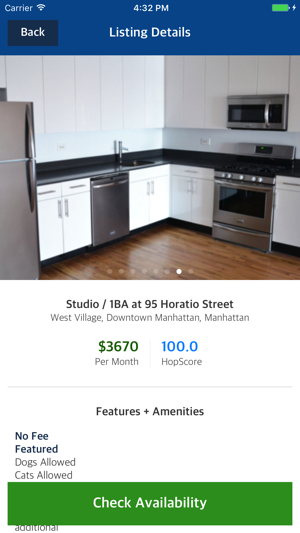 RentHop's rentals app will make you the smartest, fastest renter around! The RentHop rentals app helps you find the best apartments for rent and schedule viewings in real time with brokers and property managers! 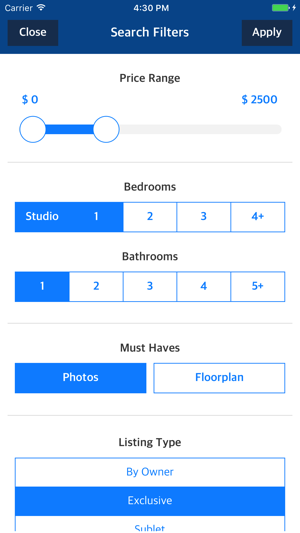 Our FREE app searches over 100,000 rental apartment listings using simple and advanced filters YOU set covering location, number of bedrooms/bathrooms, amenities and fees. • Apartments matching your preferences are presented in a clean, streamlined interface to help you find your next home. 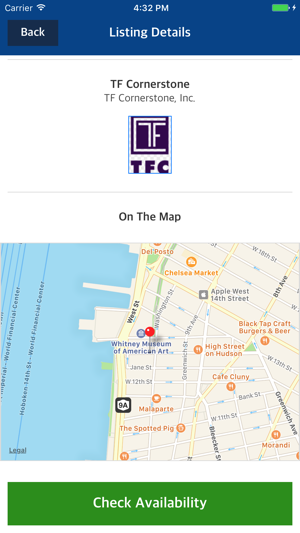 • Quickly and easily scroll through the photos, map view and street view for each listing and review each apartment’s description and amenities. The manager’s name, photo and firm appear at the bottom of each listing. • Message the managers for apartments you like directly from the app to schedule viewings. Push notifications and SMS messaging ensure that you never miss a response! • Search results are ranked using our proprietary HopScore based on their freshness, accuracy and completeness, as well as the responsiveness of the manager who listed them with us. 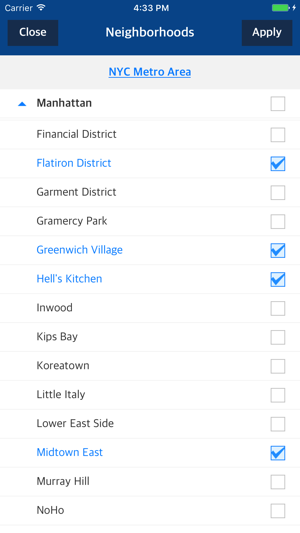 Access RentHop’s popular “Apartments on Demand” feature, which lets you see real-time locations of brokers available to show apartments, review their listings and contact them to schedule appointments, all from the app! Give it a try and find your next apartment today! Let us know what you think at feedback@renthop.com. We’d love to hear from you! This app doesn't provide reliable listings with reliable "brokers" or "agents" I have met with a couple and after the second I decided never again. The "no fee" listings are by brokers who get paid by certain building leasing offices and they bait you with pictures of apartments that are not the ones they show you when you arrive. I went in to see a two bedroom and was shown a studio. Sickening. My advise for renthop is to quickly start verifying these sad excuses of agents and make sure these fake apartment listings are real. My advise to potential inquiries anyone may make is to triple check with the "agent" about the apartment before wasting their time. 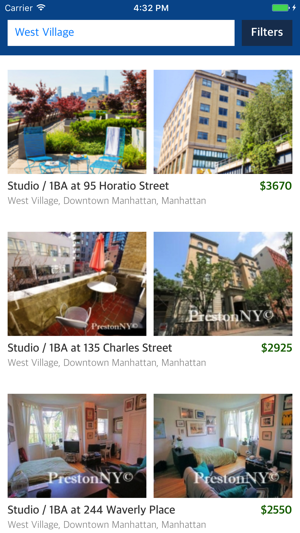 The app is ok, but there are a lot of copies of each apartment listing. And I should have never accepted notifications because it spams me all day. I've never used such a spammy app before, and will be using other real estate apps as they're not so ridiculously spammy and offer better listings too.